Energy Crystal Soap sold individually. 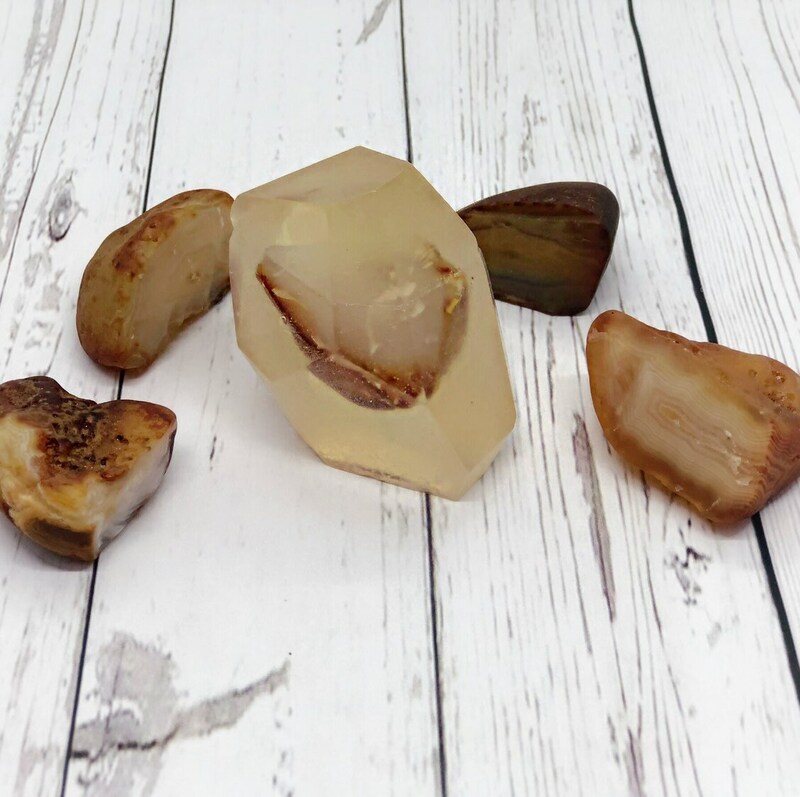 This soap is made with an organic clear glycerin base, frankincense and myrrh essential oil, and contains a large genuine raw carnelian crystal inside. My crystals are hand picked, solar, lunar, and earth charged. 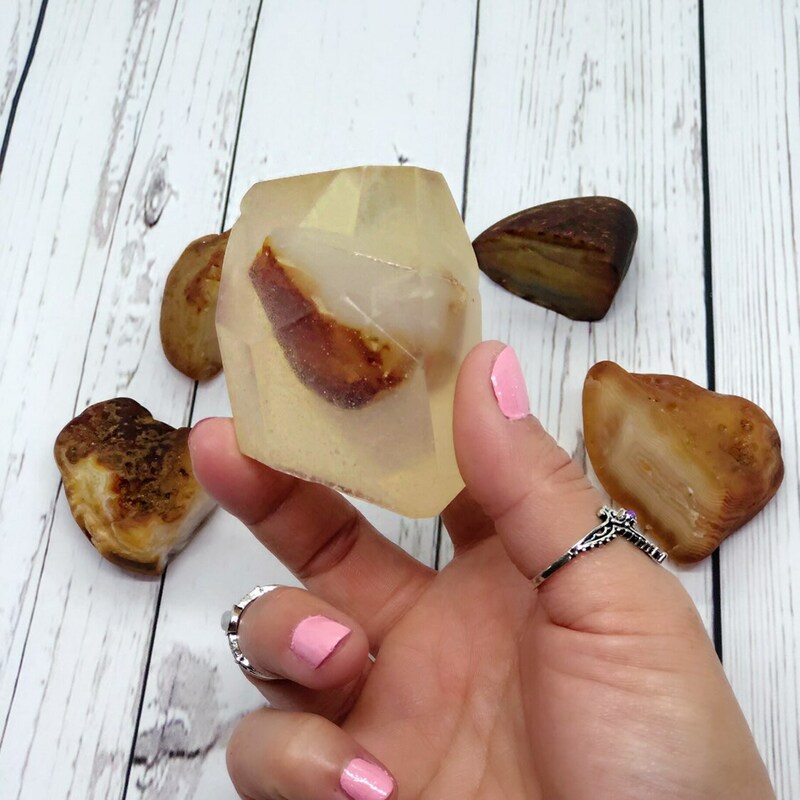 Prior to use in soap the crystal is buried in the earth for 3 months, it is then cleaned three times with a water bath and placed on a grid to solar and lunar charge so it is ready for use. You will receive one carefully crafted crystal soap.